Welcome to Sunrise Technologies, Sunrise Provides laptops, desktops, Servers and Time attendance machines. 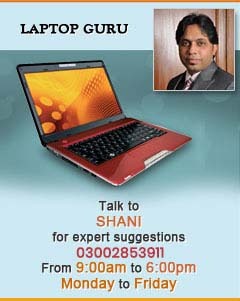 SRT provides laptop prices Pakistan. Laptop are now a days very popular in all age groups specially youngsters like laptops and notebooks very much. They love to use laptops and notebooks .That's why SUNRISE TECHNOLOIGES understand the need of young generation and provide best products to its customers.SRT specially focuses on laptop prices in Pakistan from its competitor and try to reduce prices for customers because customers are always focused on prices and that why SRT has a very good track record from price aspects. SRT provides laptop prices in Pakistan as well as major focused on Karachi market because Karachi is a hub for business activity and SRT consider it with heart and soul. We are the soul distributors of many famous brands like we are the Acer Authorized Resellers, HP trust on Sunrise Technologies and We provide good business to HP also one of the famous brand in the World DELL. DELL laptop prices in Pakistan is available on SRT Pakistan website. Samsung become our new partner and day by day people get interested to buy Samsung Laptops that's a good sign. SRT mainly focus on Sony Laptops prices in Pakistan because Sony has its own recognisation in the market and the customer who have a very good taste or good pocket they want to use SONY VAIO Laptops and SRT always provide new and latest laptops. Laptops prices in Pakistan available on Google from many website but people trust on SRT website just because we do not cheat our customers .SRT is a very committed from delivery time and quality of the products. Customer can also see Laptops prices in Pakistan on different social media platform but no one dam sure about the seller end.